1. What is the reason no one is buying your affiliate products? 2. What changes you need to do to make them buy your affiliate products. First I want to say that it is a common problem for every affiliate marketer. Even the professional bloggers who are now making a living from their blogs once faced the same situation. Never give up, you can learn and find the ways to make people buy your affiliate products. You must try to avoid them after some time you’ll slowly start increasing your affiliate products sales no matter what industry you are in. Most affiliate beginners promote their products without creating any awareness about the products they promote or recommend. Must Promote the Product that is very well aware by all people. Must explain to them what solution your affiliate products provide. If they have not to know about the product then they will never purchase it. That’s why they often struggle to increase their affiliate product sales. 1. If possible then make videos: Creating video tutorials around the products that you promote through your sites is one of the most powerful ways to drive more sales. 2. Must Write product reviews: So make sure to write in-depth reviews along with pricing, pros, cons and all the other useful benefits of the products that you recommend to your audience. Using affiliate link disclosure is one of the best practices of affiliate marketing. That means you’ll be telling your audience about the affiliate products you promote every time you’re using an affiliate link. These are all the ways he creates trust and strong rapport with his audience. You can build trust by using affiliate link disclosures and also make sure to add value to your content instead of solely promoting your affiliate products. When you promote high prize affiliate product then it will give you the huge commission. For Example, if you are selling a $500 affiliate product then you will make $50 for every sale (if they offer 10% as a commission). That’s the reason why most affiliate promoters sell high priced affiliate products. But if you are new in affiliate marketing and trying to sell the high priced product then No one ever buys. Once you master the art of selling affordable affiliate products, you’ll learn how to promote high priced affiliate products more effectively. So start slow by promoting highly relevant, useful and affordable affiliate products to start your affiliate marketing journey. People have always question in mind, What’s your unique point? Why should I buy from you instead of buying affiliate products I want from your competitors? Are you offering me anything special like a discount I can’t get anywhere else or any deal exclusively for me if I buy anything from you? 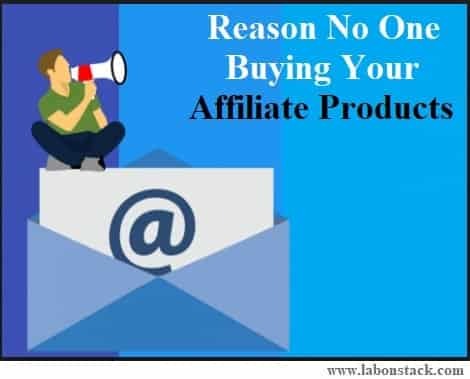 If you’ve something exclusively to offer, you’ll increase your odds of earning more commission by selling affiliate products no matter what niche you are in.